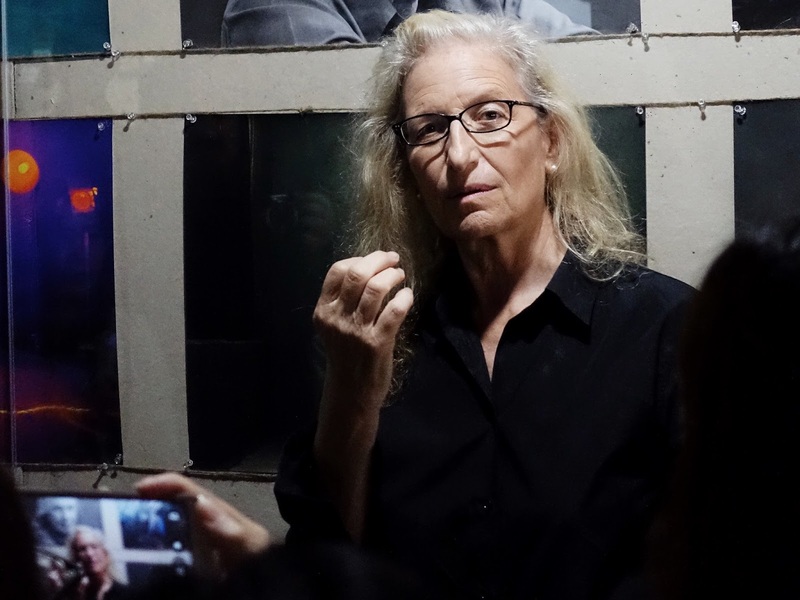 Hello Jesso: Hello... Annie Leibovitz! Today was no ordinary day. Today, I stood in a room full of beautiful portraits of remarkable women, taken by an inspiring woman - Annie Leibovitz. 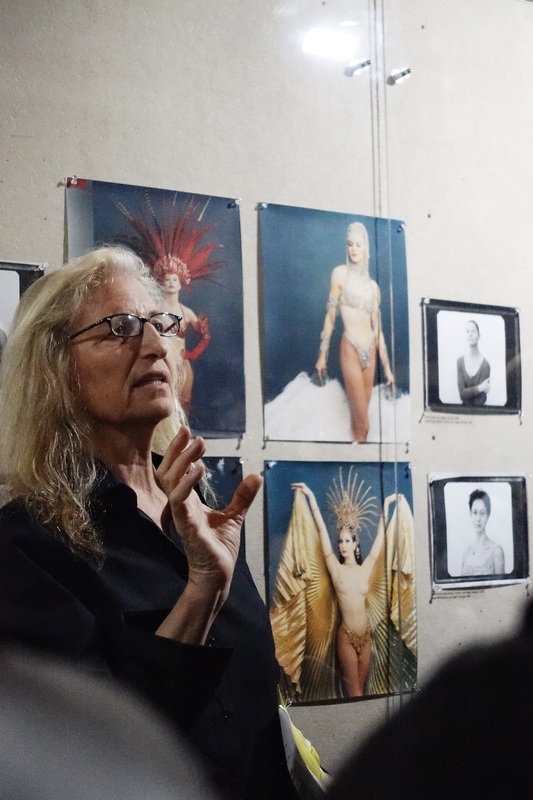 I can barely believe that I was in a room listening to Annie Leibovitz speak. With a photographic career that spans decades and a body of work that includes some of the most iconic portraits of A-listers for some of the world's most renowned publications - she's basically a living legend! Shunning a more conventional centrally located gallery space for an industrial building in Kennedy Town; Hong Kong marks the fifth stop on the WOMEN: New Portraits 10 city tour. I received an invite from UBS to come along to the press preview and of course, I said heck yes! The exhibition started by entering a 'reading room' where some of Leibovitz's favourite books were laid out for people to browse and get a feel for the kinds of things that inspired her. 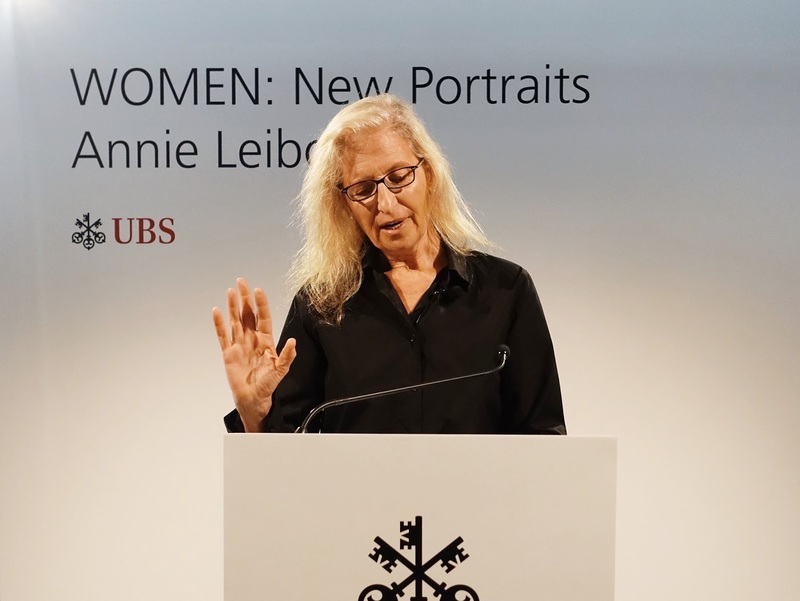 Afterwards, Leibovitz gave a short introductory speech about WOMEN: New Portraits and explained how it was a continuation of her 1999 photo series - Women - which she produced in collaboration with writer, Susan Sontag. The new portraits were taken to capture the change in women's roles today. After the brief introduction we moved over to the wall where striking images of women were displayed. Some women I recognised - Sheryl Sandberg, Shonda Rhimes, Jane Goodall, Caitlyn Jenner, Misty Copeland, Adele, Amy Schumer, Malala Yousafzai - and others I didn't, but that didn't matter as their portraits told their story. As Leibovitz talked, her words and voice were often tinged with emotion as she spoke about Susan Sontag and how Sontag had told her "that she was good, but she could do better". It was clear to see the love she felt for Sontag and the impact Sontag had on her life and work. It's amazing to think that someone as notable as Annie Leibovitz, still thinks there is always room to improve and grow. Needless to say I left this exhibition feeling incredibly inspired, with a feeling of wanting to do something, make something, leave a mark on this world. I don't know what or how yet, but the feeling of possibility is enough right now. I will most definitely be back to view the exhibition again while it is in town, and would recommend it to anyone in Hong Kong right now or any of the remaining cities on the tour. Annie Leibovitz's talent is (as the kids are saying) - Goals!